As the better weather has set in we have seen some of the larger projects we have been involved in coming to fruition. New builds and large renovation projects have finally come to an end and we have been able to revisit properties, adding final touches and demonstrating how to use the fires. This Stuv 21 double sided was one of the largest renovation projects to be completed in June and lighting it was a crowning moment for everyone on site. 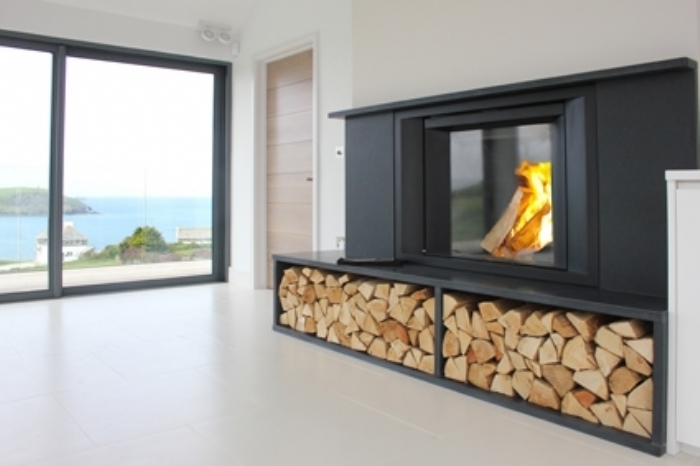 The elegant Micro Mega took centre stage in this new build in Polzeath, the bespoke fireplace, granite hearth and log stores all finished to extremely high spec, fitting perfectly with the house. 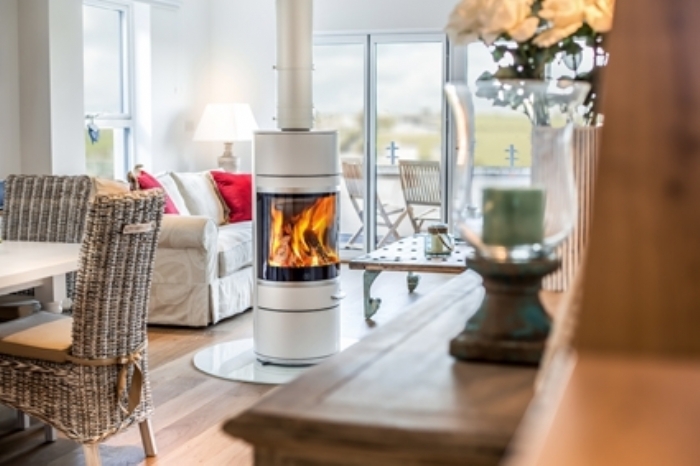 The Scan 83 in White has become the centre piece at Vinnick Rock in Polzeath. This holiday home is now available for rent from The Beach House Company. 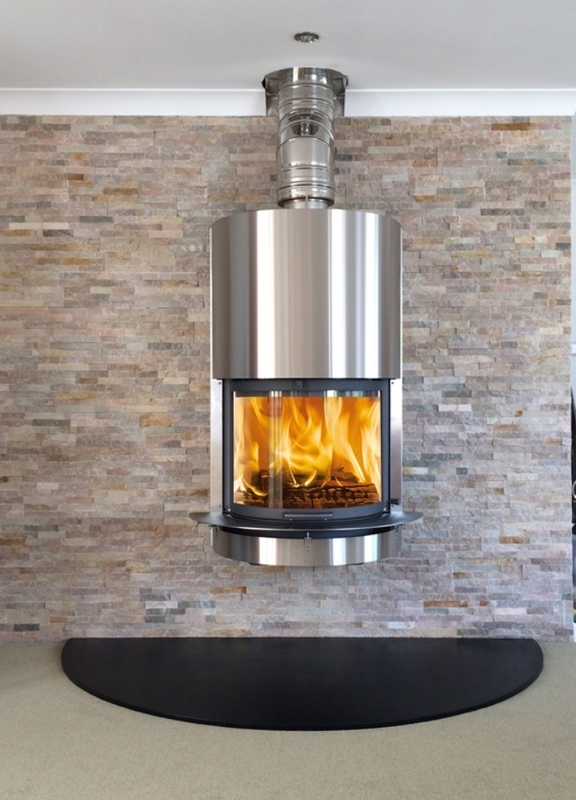 Mark installed this Scan DSA 5 in Stainless Steel in St Breward. It was only a two day job but my goodness is it impressive! 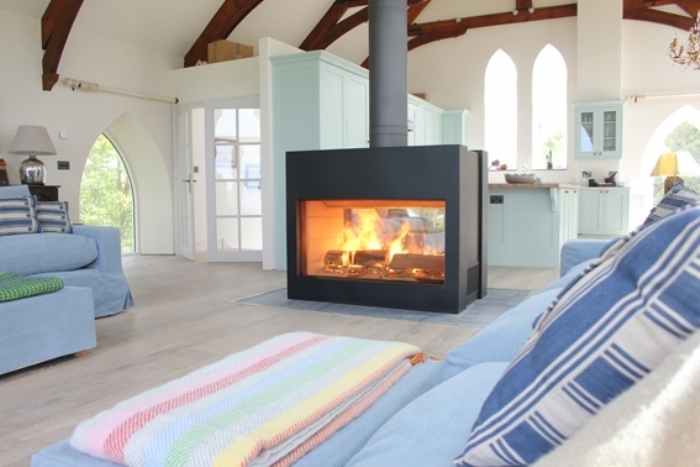 We have a black version of this in the Wadebridge showroom if you want to get a better idea of how big this fireplace is.